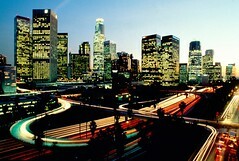 The city of Los Angeles — also known as the "City of Angels" or simply L.A. — is a city of multiple personalities. 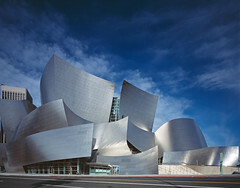 L.A. is an important center of culture, business, media, and international trade, but is most famous for being the center of the world's entertainment industry, which forms the base of its global status. The metropolitan area is the second largest in the United States in terms of population, home to nearly 18 million people who hail from all parts of the globe and speak over a hundred different languages. Participating ensembles in the National Festival of the States are chosen on the basis of recommendation from state and national music educators, governors' and senators' offices and by audition. Selected groups perform in prestigious venues with maximum audience potential. Everyone should experience Los Angeles – and the best performing groups can, through the expertise of Music Celebrations International! Thank you for providing City Singers Children’s Choirs with our very first tour! We are absolutely delighted by your organization, efficiency, and eye for detail in the planning and execution of our tour. Given the wide variety of stories one hears regarding tours, I was bracing myself for a challenging learning experience on my first choir tour, but you made us look like we were seasoned travelling pros! Most importantly, your well-managed tour gave our singers the rich gifts that only touring together can accomplish: the power of song coming alive! New friendships, good memories, living educational connections—we could not have asked for more!